Great product and real happy with the product, I have few issues and I think its my end, I have add all the necessary active fields on the PDF setup and I am a little stuck as to getting it to work 100%. I spent about 40 hours loading and matching the field up and you guys sent me the “unlocked” PDF however its not quite right. Is it possible to get someone to have a quick look and see what I may be doing wrong, the customer fills in the form using FORMIDABLE FORMS and that’s working ok, the list gets sent to me but correctly but when the PDF is attached the fields are either not populated or radio buttons not filled in. Thank you for using the plugin. 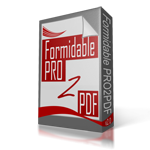 Complete this form to have us login, or send the PDF and a link to the web form to support AT formidablepro2pdf DOT com.